By correcting one potential error, the Ventura County Health Care Agency in California accidentally made another — and jeopardized vaccines given to thousands of people in the process. Ventura County is far from the only case of vaccines feared to be ineffective reaching patients. In the past 13 months alone, 117 children received possibly compromised vaccines against polio, meningococcal disease and the human papillomavirus at an Indian Health Service clinic in Oklahoma City because of improper refrigeration. Similar issues with temperature control prompted a health clinic in Indianapolis to send letters offering to revaccinate 1,600 people last January, according to local news reports. On Feb. 1, Kentucky officials announced that potentially ineffective and contaminated vaccines were administered at multiple businesses across Kentucky, Ohio and Indiana. The statement did not disclose how many people were affected. The Vaccines for Children (VFC) program, which offers these drugs at no cost for kids from low-income families, requires clinics, doctors and other providers to undergo annual audits and use top-grade equipment, such as continuous temperature-monitoring devices. It also requires that problems be reported to federal authorities. 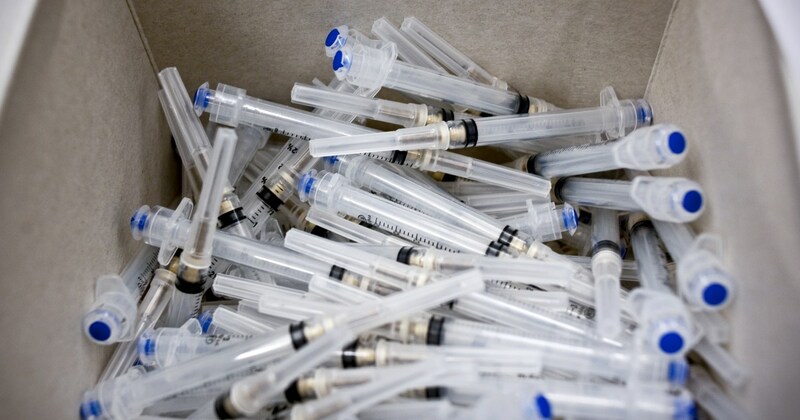 Experts said most hospitals, clinics and doctors are vigilant in properly storing their vaccines. And research suggests that compromised vaccines given to patients are not harmful. A 2012 report by the inspector general at the Department of Health and Human Services found that, in a two-week period, three-quarters of the 45 health care providers who were sampled — all of which participated in the Vaccines for Children program — exposed their vaccines to improper temperatures for at least five cumulative hours. A separate study by researchers at the federal Centers for Disease Control and Prevention published in 2015 found that 23 percent of the vaccination errors reported to the federal surveillance system from 2000 to 2013 involved improper storage or the use of expired vaccines. Since these reports, the CDC put in place additional requirements for the children’s program, including recording the minimum and maximum temperature of the vaccine storage unit daily. “In the big picture, they do it very consistently,” he said. Sanford Health, a South Dakota-based health care system with operations across the Midwest, is working to make the federal requirements the standard for vaccines among its health care providers. The system started Vax Champ, a six-month training program for nurses to learn how to store and handle vaccines. The program requires participants to periodically take photos of their vaccine stocks and send in a list of all their inventory for review. January 9, 2019 Comments Off on A Norwegian Air Jet Landed in Iran 4 Weeks Ago. It Can’t Leave Yet.